In Kuwait a traditional wooden freight ship - a Baghlah - is being built. The ship is designed to be 85 meters long and 18 meters wide. An authentic reconstruction or replica of an East-Indiaman/VOC merchant ship from the year 1628. In 1995 the Batavia was launched and is now moored at a jetty in front of the yard. In 1994 a start was made at the Batavia Yard with a second reconstruction, that of the famous Dutch man-o-war "De 7 Provinciën". The keel was laid on 17th May 1995. 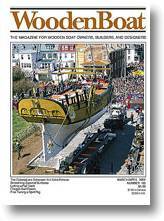 Welcome to the home page of the HM Bark Endeavor, a replica of James Cook's ship. In summer 1997 - as part of the UK's millennium celebrations for the year 2000 - the construction of the Mayflower 2000 was due to begin on Chambers Wharf in Southwark (by the side of the River Thames in London, England). Andre Cruse is a Journeyman Carpenter from Eastern Germany who worked on Duyfken for a week and fitted the knee which he is sitting beside. This Dutch Community view was the very first Duyfken site online. Australië bouwt een replica van het 17e eeuwse VOC-schip Duyfken. De bouwers houden je via Internet op de hoogte van de stand van zaken. 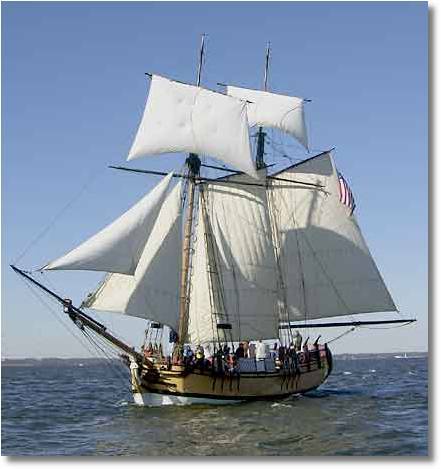 Rose is a full-rigged replica of an 18th century Royal Navy frigate that cruised the American coast during the American Revolution. Built in Quebec in 1847 she was a stout triple-masted barque, 32 metres long, constructed of oak and pine, displacing 700 tons and with a full complement of 200 passengers and 17 crew. The people of Ireland have decided to salvage the memory of the Jeanie Johnston by building a replica and sailing her to Canada and the United States and the ports she once served so faithfully. Pride of Baltimore II was commissioned in 1988 to serve as the Goodwill Ambassador for the State of Maryland and the Port of Baltimore. It was built in Baltimore's Inner Harbor as a replica of an 1812-era topsail schooner, sometimes called Baltimore Clippers. A reconstruction of a 171-foot three-masted Salem East Indiaman built in 1797, is currently under construction at Scarano Boat Building in Albany, NY. She will be the largest wooden, Coast Guard certified, sailing vessel to be built in New England in more than a century. The original (previous) Eugenia was built in Bolax, Hitis, in the archipelago of SW-Finland in 1879. It sailed as a cargo-vessel along the finnish coast until 1951 when it sank near the island where it was built. Återuppbyggnaden av Briggen Gerda, europas sista seglande brigg i handelssjöfart har engagerat Gävleborna i ett stort gemensamt projekt och blivit uttryck för en folklig vilja att återskapa en tidsrymd i stadens historia. En replik av en postjakt från år 1692 som byggs i full skala. Byggandet är ett led i Marinmuseums program att levandegöra och återskapa skeppsbyggnadsteknologin från slutet av 1600-talet fram till tidigt 1800-tal. The two-masted gaff-schooner Jacobstads Wapen was built in 1988- 1994 in Jakobstad, Finland. She is built according to the oldest existing ship drawings in Finland (from 1755), made by the famous Swedish naval architect Fredrik Henrik af Chapman (1720- 1808). She has all modern conveniences and necessary life-saving equipment and she is a certified passenger vessel. She sails from may to September, mainly in the Gulf of Bothnia and the Baltic Sea. The Trustees and Advisors are donating their expertise to design and build the new clipper Shining Sea. When completed this ship will be the largest wooden square-rigger under sail in the world. In the heart of Stockholm they are building a brig based on the lines of the old naval sail training brig "Gladan". Jan-Erik Mansnerus and Olof Strandberg found the old blueprints of the Gladan at the War Archives and Observation Journals etc at Karlskrona Naval Museum. She was considered as a safe and good sailing ship. Originally built as a naval cargo vessel she participated in Nordenskiöld's expeditions around Greenland in 1870-1872. This extensive material is now used as a base for our project. The old blueprints have now been transferred to computers using modern CAD technology mixed with traditional ship building skills under guidance of master shipwright Gustaf Dillner. The Hamilton Ships Company of 1812. A non-profit organization based in Hamilton, Ontario, Canada whose goal is to provide quality, introductory training and work experiences in the (traditional and modern) skills related to the construction of 19th century sailing vessels. These skills, taught by qualified masters of their respective trades in a 19th century-styled ship yard and interpretive center, will be as applicable in the modern workforce as they will be in the construction and repair of modernized replica tall ships. Traditional tarred hemp rope is being made for the Duyfken replica by Touwfabriek Langman in the Netherlands. Click for a picture of an old ropewalk.